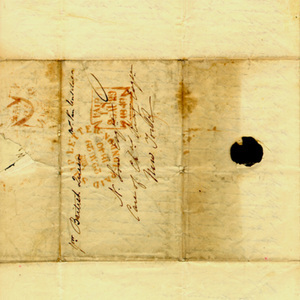 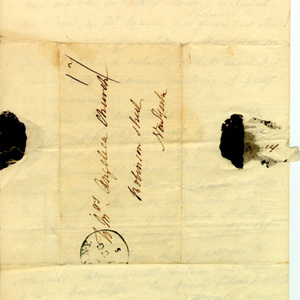 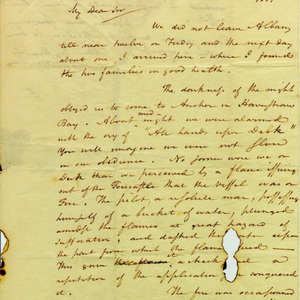 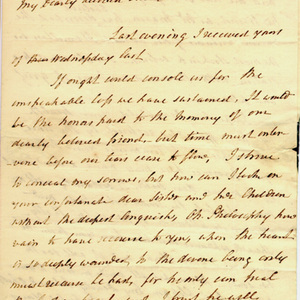 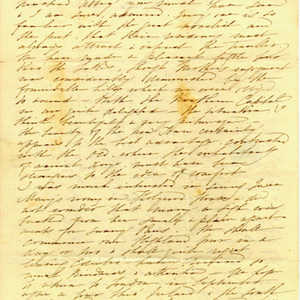 Hamilton in this letter to his father-in-law discusses the fire onboard the vessel which was docked in Havenshaw Bay while he and his wife were aboard. 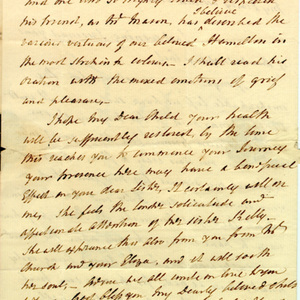 He expresses grief and sorrow over the death of Alexander Hamilton, and sympathy for his wife, Elizabeth Schuyler Hamilton, and their children. 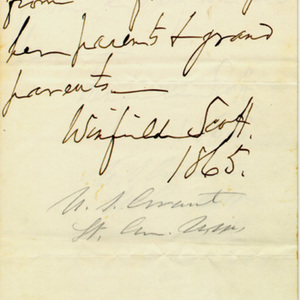 Family descendants continued their strong attachment to Europe as evidenced by this description of the Grand Tour. 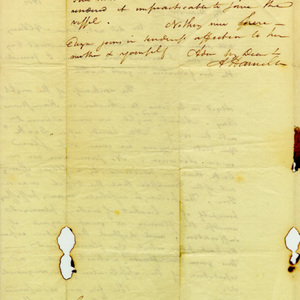 Paris as always holds a strong attachment, "... the Parisian Capital ... must pronounce the place of places." 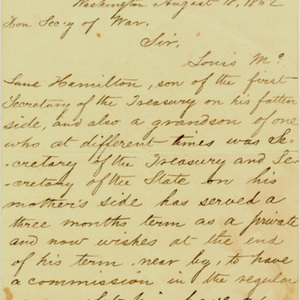 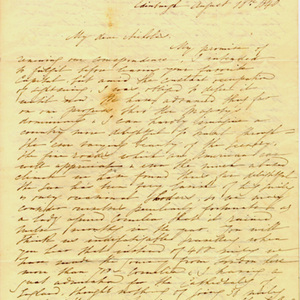 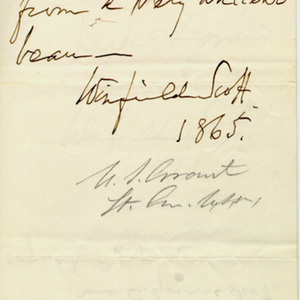 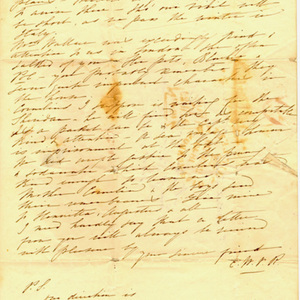 The descendants of the Church family continued their tradition of service and involvement with their country as evidenced by Lincoln's introduction for Louis McLane Hamilton, descendant of Alexander Hamilton, and Winfield Scott's autograph note to Cornelia Cruger who requested a "memento of the oldest soldier of the age."